With a bit of a delay some thoughts on Google's move towards education (lining up with EdX for the MOOC.org platform). It does not come as too much of a surprise, as Google has been exploring education for a longer period of time. Starting with Google's business approach that people are able to dedicate some time of their Google professional work to innovative projects they set up themselves. This highlights to me the trust in experimentation, self-directed training and learning to reach new innovations. This builds upon what they learned from the early Power Search courses and such, and opens up opportunities for those looking to set up an online course (provided they have some knowledge in IT). So to me partnering up with universities (especially EdX type universities) seems to be a logical next step. For what Google did miss was Subject Matter Experts, or teachers in general. Merging EdX with Google will no doubt result in optimal learning experiences (e.g. mobile optimized courses, seamless learning experience) and it has an enormous potential for Big Data related to learner analytics, as Google has one of the vast analytics opportunities out there. And although Apple and Microsoft have launched some educational initiatives, it does not even begin to compare with the prior expertise Google has built up. My hope is of course that UNESCO's aim to reach 'education for all' will in fact become a possibility. But in order for this to happen Open Educational Resources must be build and expertise must be shared. Learners must be seen as intelligent people who themselves have expertise and knowledge to share, and who know which knowledge would help them out in daily life (whether professional or personal). This means that the current (x)MOOC that use 'the expert' instead off 'us, the experts', or 'the content' instead of 'all viewpoints' might have to change their game if Google and EdX really move towards a meaningful third road in between xMOOC and cMOOC. And I think Google's vision can pull this off, as it is a philosophy which has proven them lucrative. Higher Education is of course under pressure with all these new developments, but in a way it is not. The only thing higher ed has to do is come up with specialties, coaching and mentorship are still easier in face-to-face environments. But I like the parallel with publishers, their are big publishing houses out there, but there is always a space for smaller, specialized options as well. MOOC do have an effect on classroom teaching in universities: as professors are in some cases pushed to rethink their pedagogy, their course schedule. But in the end, teaching is a real craft. And all of us remember the great professors and rapidly forget the others. I feel that however wonderful a MOOC platform is build, or whatever emphasis is placed on pedagogy, at the end of the day the quality of what is taught lies with the professor (she or he). 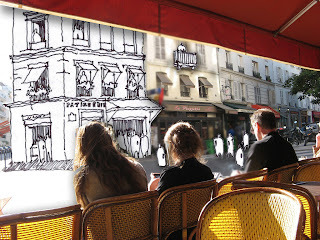 An enlightened teacher can lift learners to a higher level with pencil and paper, or fabulous mobile multimedia alike. Great teachers know how to connect with their learners prior knowledge, provide them with collaborative zest, and move their learners to the next level of insights. But I bet that professors that will become globally known for their expert teaching efforts, will get better pay-checks... Or would it mean that the rest will get even less? 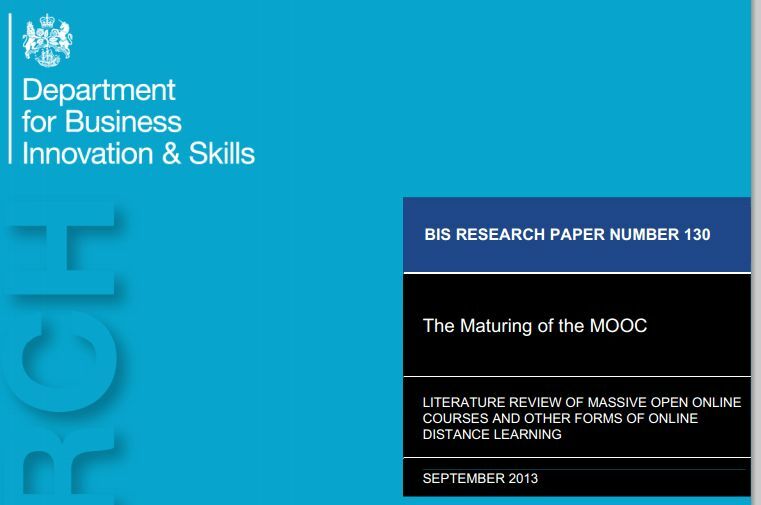 A more business oriented report on MOOC has been disseminated for all of us to read. It is free and can be downloaded or read here. Learning Practitioners disagree about the value of MOOCs. Sub-conclusion: Formal analysis of MOOCs commissioned by authorities . Accreditation – a route to payment.. It has some nice sections in it, so good to quickly peruse through those parts you know already and give it a bit more time on the new ideas. The first courses will be going live on FutureLearn platform, the first UK-led provider of massive open online courses (MOOCs). FutureLearn is the result of nine months intense work and testing since its initial launch. 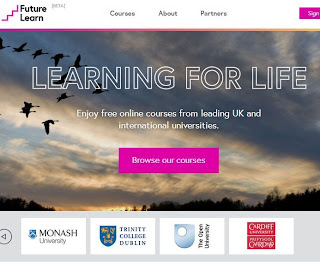 For those interested in the business set up: FutureLearn is an independent company owned and spearheaded by The Open University, but in collaboration/partnership with top UK, Ireland and Australian universities. From today, some of the courses from our 20-plus partners will be showcased at a media event at the British Library, in London; but some of the courses will also be open to the public. Those courses will be public beta courses, so courses that are open to critique, improvements, and overall learning to get better. So for all of you experienced MOOC'rs out there, feel free to visit www.futurelearn.com and join the public beta testing of FutureLearn. Give feedback, share tweets, blogs, ... adding to the insights we all need to improve the courses even more, and become one of the potential standards of (x)MOOC (e.g. Coursera, EdX, Udacity). There will be videos, trailers of the courses to come, descriptions... and all of that stuff. But what we are interested in is what you feel is missing? Are the FutureLearn courses truly mobile accessible? Do the courses provide a seamless learning experience (where you can leave the course and pick it up again easily)? Are they social enough to learn from peers, share experiences with others? The trailers can be seen on each course page, or you can simply subscribe to the FutureLearn YouTube channel and get an idea of what is available. 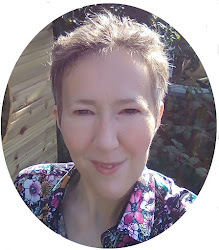 I blogged on Tin Can before, and now there is an interesting experiment you can join. Varadarajan (Varadu) Sridharan recently joined a cohort conducted by Advanced Distributed Learning ( http://adlnet.gov/ ) where everyone learns about Experience API (xAPI or Tin Can). Experience API is an e-learning software specification that allows learning content and learning systems to speak to each other in a manner that records and tracks all types of learning experiences. FYI, ADL group is also the team behind the widely-popular SCORM framework, and Tin Can is really an visionary, cross-platform standard that will boost learner analytics (and big data in general I think). As part of Varadarajan xAPI (Tin Can) Design Cohort, the team of Varadarajan has created a Twitter Chat experiment, and an experiment is always worth trying if you have some time and an interest in the topic. 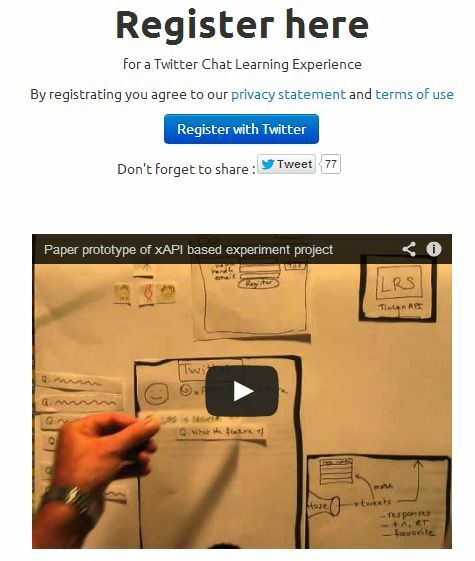 You can participate in this chat and learn more about xAPI and xAPI resources. In order to join you need to register with your Twitter id at http://xapijv.kneaver.com/ and the team itself already looks inspiring! Please share this with anyone interested in xAPI or learning analytics! Anyone interested in mobile learning and how it can be used in different field settings will enjoy reading this wonderful book. It is well written, using a narrative approach to capture the attention of the reader and at the same time inform the reader of new insights gathered by the Michael Sean Gallagher in his new book: Incessant motion through space: mobile learning field activities in the humanities. This is a paid book (10 dollars), which is understandable as Michael is currently an experienced eLearning and mLearning expert, but gone back to University to become a PhD student (and that is an expensive moment in anyone's life, so extra income is always welcome). I like the fact that he did this as a combination of his research, as well as a way to disseminate his research to the general public using the Amazon Kindle option. Btw, you do not need to have a kindle to read it, simply use one of the free kindle app options you can find here. 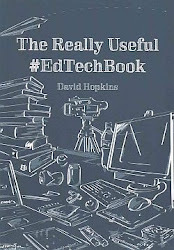 "Anyone interested in mobile learning and how it can be used in different field settings will enjoy reading this wonderful book. It is well written, using a narrative approach to capture the attention of the reader and at the same time inform the reader of new insights gathered by the author.The illustrations in the book also add to the overall reader comfort. The illustrations are on many occasions meaningful additions to the context of the book, as well as beautiful visual additions that open up the book reading experience itself. The structure of the book ensures easy reading as well. Each chapter offers an overview of the topic at hand (e.g. mLearning design, meaning making) and are followed by an addendum adding additional knowledge to the overall topic, creating a holistic insight into both the chapter, as well as in the overall mLearning landscape. The author uses multiple examples and metaphors to deepen understanding for us readers. The surprising, and most of all inspiring part of these additions is the fact that they relate to Art and history. I found this approach especially enriching, as it brought back memories, making it easier to understand the theory and knowledge shared." The illustrations were provided by Jennifer Gallagher who can be contacted at the JGal studio (and I am adding her here, because I surely will keep her in mind for my next eBook. 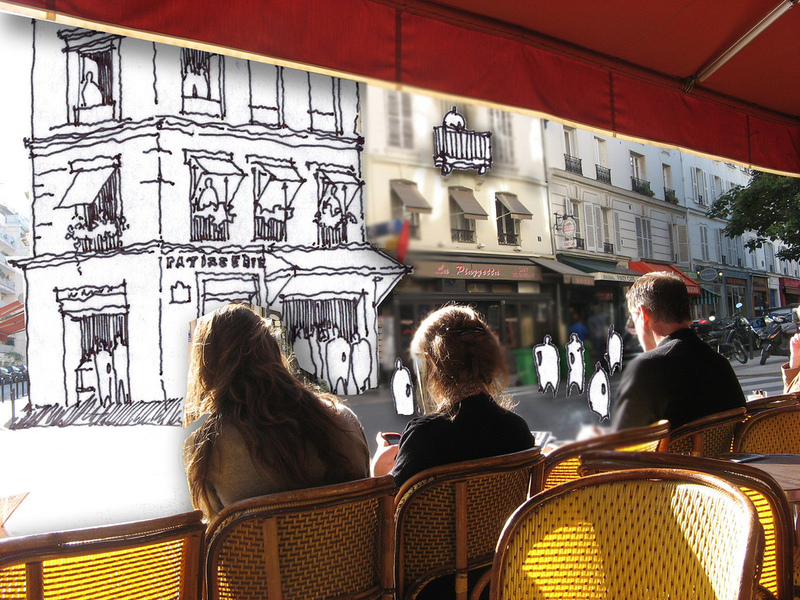 Really imaginative illustrations! The picture in the blogpost is just one of many. This book is designed for teachers and learners wanting to explore mobile learning field activities in the disciplines of the humanities. It is especially designed for teachers and learners that have wanted to use mobile technology more for their learning and weren't sure how to begin. This book should be useful for anyone teaching in the humanities that wants to extend learning beyond the classroom walls; it is also most useful for learners in these disciplines that want to extend their engagement with their subjects to their neighborhoods, their streets, and their cities. It provides a definition of mobile learning that stresses the transformative nature of learning (for the learner), outlines multimodality and its application to these field activities, and suggests how meaning can be made by learners out in the field. It discusses how these field activities can be organized, reflected upon, and executed, and what the resulting compositions might look like. It concludes with a discussion on how teachers and learners can design mobile learning, and what resources or tools might make the activities most productive. Throughout the book, the emphasis is on how learners make meaning in their day-to-day environments and how that meaning can be presented through multimedia compositions. The emphasis in this book is on positioning learning as a creative (even artistic) exercise of coming to know through observation, interpretation, and creation. Vol. 9, No. 2 of the MERLOT Journal of Online Learning and Teaching (JOLT at http://jolt.merlot.org/) has been published and is available online. In this issue you will find 12 peer-reviewed scholarly articles, nine of which comprise the much-awaited Special Issue on Massive Open Online Courses (MOOCs), guest edited by Dr. George Siemens (Athabasca University), Dr. Valerie Irvine (University of Victoria), and Dr. Jillianne Code (University of Victoria). The remaining three articles are regular-issue articles relating to various aspects of online education. Massiveness + Openness = New Literacies of Participation? Due to the overwhelming interest and the large number of high-quality submissions we received for the MOOCs special issue, we will be publishing a second special section on this topic as part of an upcoming issue. If you would like to register to receive notification of newly published JOLT issues, including the issue containing the upcoming special section, you may do so at the following URL: http://grapevine.merlot.org/joltnews/joltlistserv.php?action=add . Can the #MOOC format respond to the educational challenges #altc2013? This is the first day of Alt-C2013 which takes place in Nottingham this year. I am glad to be part of the preparation group of the panel discussing Technology Enhanced Learning in times of crisis. There are multiple people present and the ideas discussed during this debate came (in part) out of the Alpine Rendez-Vous that took place at the beginning of this year. If you want to you can join us at 11.45 on Tuesday 10 September 2013 in session 342, right after the keynotes. For a full time schedule, look here. My input will be around MOOC and how or if they can be an answer to moments of crisis. But looking for your ideas on the subject, so please share. For those wanting to download the opinion paper I have added below, you can download it here at academia.edu. The references mentioned below are also all gathered in the academia link. I wrote this piece months ago, and I put it in my drawer of "when-I-have-time", but I feel it does have something going for it. ProblemIn the educational reality of the second decennium of the 21st century education is molded by a variety of new factors. The learning and teaching processes of today are impacted by the use of social media, new mobile technologies and pedagogical formats. Due to these new technologies and emerging formats, education is forced into a process of transformation. In addition to these new strains on education, the old challenges with regard to excluded, vulnerable learner groups keep on existing, in fact they are in some cases becoming more urgent. As such many tensions accompany this educational transformation, and especially when looking at the more vulnerable learner groups. As the global economic crisis stays omnipresent, more and more vulnerable learner groups get isolated and an educational solution befitting the latest Technology Enhanced Learning opportunity must be sought. Local versus global: termed by Wellman (2002) as glocalization in relation to the overlapping spheres of society, technology , and the World Wide Web. This glocalization of education can simultaneously serve to perpetuate the status quo of existing power relations form one region to the next, as mentioned by Willems and Bossu (2012, p. 186). Digital and Social exclusion(s): one area of social exclusion in the technological era relates to the digital divide. However, this term gathers many factors. There are “multiple divides which relate to a variety of factors such as: age; gender; ‘ethnic clustering’; uncertainty of financial conditions; work insecurity; and social insecurity” (Mancinelli, 2007, p. 7). Looking at this wide array of factors, Willems and Bossu (2012) suggested that the focus to address these educational challenges should be “on social inclusion rather than simply on the digital divide” (p. 188). Increasing diversity of the learner group: Non-participation in adult and lifelong learning is deeply entrenched in ‘trajectories’ based on class, gender, generation, ethnicity and geography, which are established at an early age (Tuckett & Aldridge, 2009). Formal – informal: university/higher ed. driven versus grassroots courses. Research showed that there is a greater uptake of informal kinds of online learning opportunities, and the more informal the nature of the online learning activity, the more factors, beyond involuntary exclusion, that become important (Eynon & Helsper, 2011). Additionally Eynon & Helsper mentioned that informal learning is the area in which there are the largest proportion of unexpectedly included learners [when examining digital in/exclusion]. A MOOC has informality embedded in its format. However, in the policy paper of UNESCO regretfully only new types of more formal xMOOCs are mentioned (Coursera, Udacity and edX). These examples are all more mass university driven. By focusing only on the major university driven MOOCs there is a predominant teaching/learning format (cognitive/behaviorist) connected to those platforms and a dominant Western driven pedagogy behind it. The content offered in the university driven courses is also more high-brow: nothing on vocational level, or getting to grips with the crisis etcetera. The courses are clearly aimed at educated people, as such less relevant for global learners at risk. Closed versus Open Educational Resources (OER): OER can, and do include full courses, textbooks, streaming videos, exams, software, and any other materials or techniques supporting learning (OER Foundation, 2011, p. 1). But what is shared builds upon the content and ideas of its makers. And what people think others need, is not always that content which is really needed. Technology and infrastructure: McGill (2010) noticed that in order to make all the OERs or any educational materials and courses fully open and accessible materials will be accessible on alternative technologies [including] mobile [technologies]. Willems and Bossu (2012) added that “the development of OER for mobile learning applications may be a more appropriate strategy to make OER widely available to students in developing regions (p. 193). Digital identity: Identity negotiation and its relationship to societal power and status relations is also clearly implicated in the phenomenon of “stereotype threat” for which there is extensive experimental documentation (OECD, 2010, pp. 87-88). This research is summarized by Schofield and Bangs (2006) as follows: “stereotype threat, the threat of being judged and found wanting based on negative stereotypes related to one’s social category membership, can seriously undercut the achievement of immigrant and minority students” (p. 93). Additionally, the risk of providing content for the masses, is that identities get lost and that only the societal, predominant identity is represented in both the texts, as in the visual material of the course content. This has a profound effect on learning, as identification is connected to motivation and learning. Global communication needs versus language barriers: the Council of Europe has consistently promoted the value of plurilingualism for all students (including migrant and vulnerable students) (Little, 2010). However most international courses are English spoken/written. What can we do?Get together and build an answer that at least addresses some of the above issues. MOOCs are – in its original, distributed form – informal, including a wider learner audience than traditional education (e.g. no degrees needed to participate in the course). Some of the MOOCs are mobile accessible (e.g. MobiMOOC) addressing infrastructural tensions. MOOCs are aimed at networked learning. Content results created in MOOCs are in many occasions OERs and the courses reside in the open. Additionally, there is one human factor that is now more than ever possible across borders, beliefs, cultures and time, that is dialogue. Communication, or dialogue, and living through experiences in a collaborative way is also central to a MOOC. 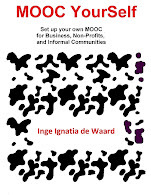 As a MOOC is a gathering of people with generally no prior connection, it has a unique social advantage that relates to a more open and connected way of thinking (de Waard, I., Gallagher, M. S., Hogue, R., Özdamar Keskin, N., Koutropolous, A., Rodriguez, O.C., Abajian, S.C., 2011). This also coincides with what Downes (2007) wrote on that the learning activities we undertake when we conduct practices in order to learn are more like growing or developing ourselves and our society in certain (connected) ways. “To stay viable, open systems maintain a state of non-equilibrium… they participate in an open exchange with their world, using what is there for their own growth … that disequilibrium is the necessary condition for a system’s growth” (Wheatley, 1999, p. 78-79). This constant flux, with attention to context and personal experiences/backgrounds can be an inherent part of a MOOC, but that is only possible if we consciously embed these options in any MOOCs that are build. In order to ensure this type of tailored MOOC it is my understanding that all should be involved in building MOOCs, their design, content, approaches, pedagogies, awards/badges/certification. It is the author’s believe that the Massive Open Online Course format or MOOC has the potential to address many of the above mentioned issues if the format is tweaked to do so. MOOCs have only emerged during the last 5 years, the format is now mature enough to be optimized for the challenges that we all – as global learners/teachers/researchers – are facing during these times of financial and educational crisis. It is also the time to provide alternatives to the more power duplicating MOOC that are sometimes rolled out. The expertise of the moderators of this workshop is multi-faceted with the goal of being able to embed multiple optimizing factors into the adapted MOOC design to come out of the workshop. To address a multitude of factors, it is important to collaboratively design solutions based upon interdisciplinary expertise with a common goal. We, as researchers, can use these times of global crisis to rethink education and create new models that have at least a spark of hope in them – to reach a more sustainable, localized and empowering model for education. We should bring together a core of researchers and engaged educational minds that can result in an optimized online course format that also fits the socio-economic challenges affecting the vulnerable groups in our global society as a whole. 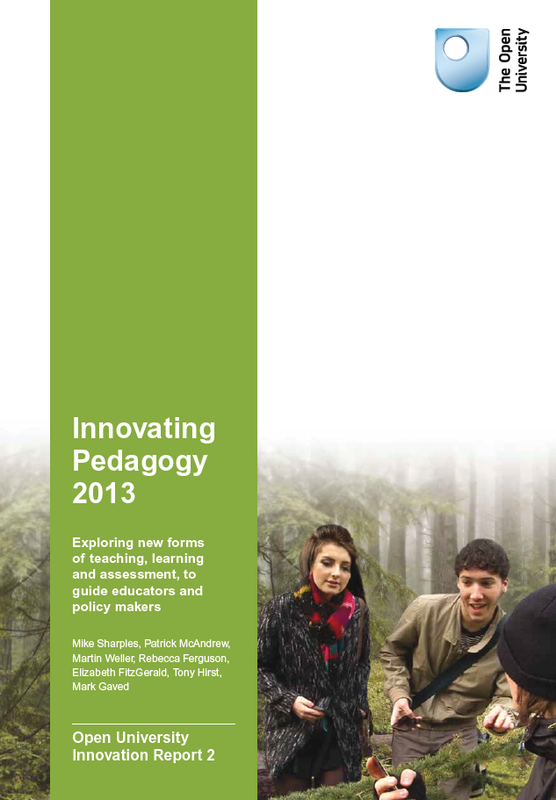 The Open University of the UK has published the second in its influential series of Innovating Pedagogy reports that explore new forms of teaching, learning and assessment, to guide educators and policy makers. The 2013 report updates four previous areas of innovation and introduces six new ones: Crowd Learning, Learning from Gaming, Maker Culture, Geo-Learning, Digital Scholarship and Citizen Inquiry. The report can be downloaded from www.open.ac.uk/innovating and is a provides some food for thought for all of us strategically mapping education for the future. 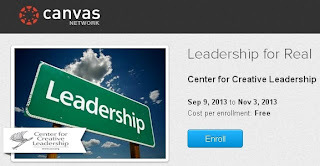 Tomorrow a new MOOC on leadership can be followed on the Canvas.Net platform. The Leadership for Real MOOC is of interest to me as it envisioned by Bert De Coutere at the Center for Creative Leadership and we had some great meetings figuring out what could be in, where possible foci might be. The CCL has been in the top 10 of the Financial Time rankings for executive education for 12 years in a row, so they are strong in what they do. This MOOC is free, it offers badges when going through, you can vote for the topic covered in the optional week. The course will be rolled out through Canvas.net and will be open from tomorrow 9 September 2013 onward. Will do some reviewing of the course and I look forward to learning more about leadership. If you want to enroll, get your details in here. Leadership qualities are of interest to a lot of us. In the past months MOOCs have been debated on various levels. And as I am engaged in MOOC research for the last few months (following the development of FutureLearn the UK MOOC platform), I was looking for different angles that come closer to what I like to see in education: variety, creativity, recognized by many, providing credits for all who want to, catering options so different teachers can make and share the content the way they like it... and of course all delivered in a seamless learning format (will post a bit more on that subject in a couple of days). And suddenly I came across an online course called "Feminism and Technology", in a format self-described by the organizing universities as DOCC (Distributed Open Collaborative Course. The course is set up by multiple universities, gives recognized credit to those willing to go for the credit track, and it features multiple professors and experts on the topic. The idea emerged from the people behind the FemBot collective and the DOCC on Feminism and Technology is part of what they call nodal course. The course is still being put together (if I assume correctly, just sent out an email to one of the facilitators to make sure). From the organizers I heard that there is an online track being developed, next to a face-to-face track. 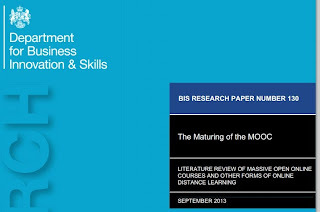 The course itself will be launched on 23 September 2013. Here is what they shared: the FemTechNet Self-Directed Learners site is just getting off the ground at the FemTechNet Commons--look for it on the top menu. You may also want to explore the more interactive FemTechNet Google+ page @ FemTechNet Google+ site. The San Antonio FemTechNet ¡Taller!/workshop which is co-facilitated by Penelope Boyer in Texas can be accessed at https://www.facebook.com/pages/San-Antonio-femtechnet-taller-Dialogues-on-Feminism-Technology/1407936279418801?ref=br_tf Feel free to visit and Like it, or simply spread the word. To me MOOCs lift the learner, they are diversified in the media they provide and I learn from multiple teachers/experts within the same course. This way I can make up my own knowledge and I inevitably get different viewpoints on the same subject matter. I like that very much because I am an adult learner, in fact I liked that approach of multiple looking glasses even as a child. In some strange way it helps me focus. This was the basis for getting MobiMOOC (an open course on mobile learning) organized and rolled out to the public. Of course this approach is not completely new, it fits the connectivist MOOC approach as it was first launched by George Siemens and Stephen Downes, but now it gets a nice feminist ring to it as well. Alexandra Juhasz, a professor of media studies at Pitzer who is the other co-facilitator of the DOCC, said to Inside Higher Ed reporter Scott Jaschik "our DOCC is built to value situated experience and emphasis, and to share authority and responsibility rather than the MOOC's top-down, one size fits all, sometimes elitist approach. Attention to discrete learners, teachers, and institutions is valued over simple numbers of participants. While these structures mirror my own feminist values and approaches, I imagine that most educators will be intrigued by this more democratic and responsive model for technology enhanced learning." Which reminds me I need to get back into the feminist realm to keep my mind alert. Engaging with a fembot collective unconference might be an idea. Some educational activists colleagues are preparing a debate during the Alt-C conference on Technology Enhanced Learning and whether or if this can be a response to economic crisis (both in education as in globalization). While preparing Richard Hall shared a presentation that stuck with me. So happy to share his views. For those joining Alt-C conference which is held in Nottingham, UK this year, feel free to join us on Tuesday 10 September at the TEL at 11.45 for the discussion on Technology Enhanced Learning Crisis. Panel people: Richard Hall, Debbie Holley, Sarah Stager, Karl Royle, Helen Beetham, John Traxler and myself. Will be fun and passionate debate.